An innovative economic sector offering a wide range of jobs and excellent career opportunities! In France, agricultural machinery accounts for approximately 100,000 jobs, split between small and medium-sized firms and large French and foreign industrial groups. We are entering an era in which the drive towards higher quality and increased farm production constitutes a way of addressing the changing face of society and fulfilling the new demands of consumers and the requirements of an infinite quest for well-being. This is why mechanisation and digitalisation of agricultural production, made possible by agricultural machinery, offer incredible opportunities for this rapidly developing sector. The agricultural equipment market has an environment that is conducive to its own success owing to a broad diversity of users and a new technological era. In the area of technology, much talk nowadays refers to precision farming. The development of technology relating to data transmission and management, communication, sensors and automatic processors has triggered a new revolution delivering ever higher performance in agriculture. To get such a large economy to function, a qualified workforce is required. Paid employment grew by 2.1% in 2018 (approximately 22,000 employees). A further 2.3% increase is expected in 2019, representing 450 net new hires. Since 2010, paid employment has increased by 6.5% in agricultural machinery, while it has declined by 5.6% in the manufacturing industry. 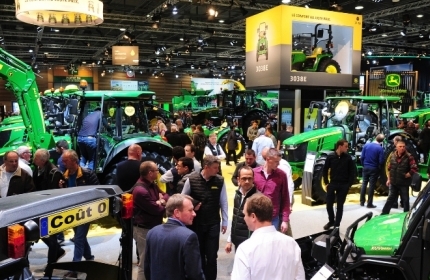 The flip side for this positive trend is that just like other growing sectors, the agricultural machinery sector suffers from recruitment difficulties which hamper its growth. In 2018, 56% of Axema members said they had trouble hiring, despite attractive pay and working conditions. Many job specialities are in high demand in the sector: aftersales field technicians, sales inspectors, project managers, export sales reps, etc. The appeal of the sector and the employer brand have become key issues for the profession. To find a way out, firms need to join forces and encourage young people to get interested in jobs in agricultural machinery. Portraying the industry as an open sector is essential to attract young workers. Trade bodies are focusing on increasing the appeal of jobs in the industry by opening the doors of companies to young people or introducing them to the sector through workshops, work experience or block training. However, the increasing technical complexity of machines must also be taken into consideration by the system, and this consequently requires technical education and training.